Chatbots use artificial intelligence that is often quite advanced to answer many questions a user might have, and in the event that the bot is unable to help the user, it will usually as the user to call, email, or fill out a support form, or perhaps to check a F.A.Q. page. Chatbots are quite advanced, and many of them can almost manage to fool users into thinking they are speaking to a real person. This is beneficial, because it allows companies to lower their overhead by using chatbots to replace customer service agents in many circumstances, and only when the chatbot is unsuccessful in helping the customer must a real agent step in. Chatbots have a few drawbacks, but they also have many benefits. 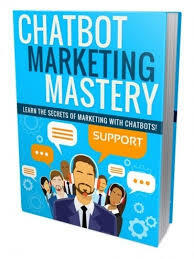 In this guide, you’re going to learn more about how chatbots can be used for marketing, and whether or not chatbots are a good fit for your business.